The areas of the country hardest hit by the labor shortage are those with the highest number of landscape workers, like California, Florida, Texas, and Colorado, and the areas that rely most heavily on immigrant labor. One issue facing employers is that employees don't want to invest in a company that can only offer seasonal employment. 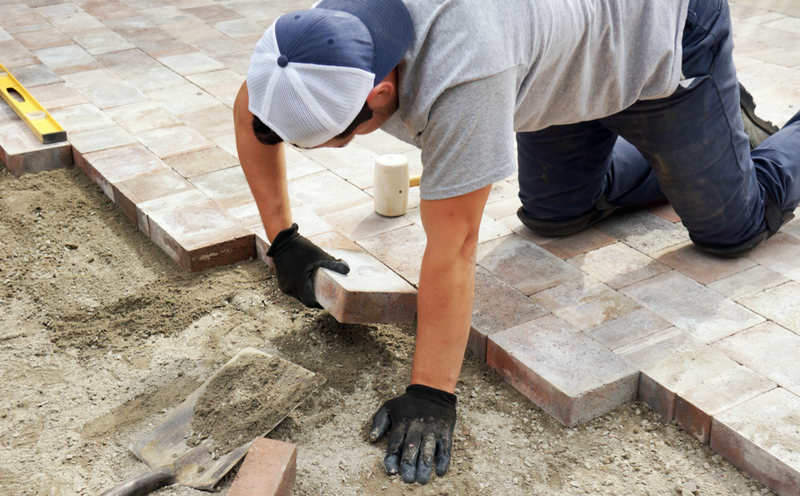 The short version is that the labor shortage in landscape construction is hitting Texas, Colorado, and other states that rely on immigrant labor particularly hard. Companies are trying to attract workers from Puerto Rico and incentivize employees to refer friends, but these efforts have only been met with limited success. According to reporting by the Denver Post and Bloomberg, the areas of the country hardest hit by this shortage are states like Colorado and Texas. Given the major role immigrants play in this labor pool, it is reasonable to generalize from this that areas in the West, South, and Southwest that are more heavily dependent on immigrant labor will be more heavily impacted by the shortage. Since Texas and California are the two largest employers of landscape workers (Source), and Colorado and Florida have some of the highest concentration of these workers, it would make sense that these areas are also the hardest hit by any shortage. However, anecdotal evidence from news reports suggests that the shortage is being felt even in areas like the Northeast. The shortage is expected to grow worse in Texas and other areas in the Southwest as the current administration increases border controls and tries to limit legal immigration (Source). A prime example of this issue is the recent labor shortage in Houston after Hurricane Harvey (Source). While immigrants, both legal and not, flocked to New Orleans after Hurricane Katrina, the same movement has not been seen after Harvey. Most immigrants and employers attribute this change to the government's current attitude towards immigration (Source). While there is not publicly available information that broke down companies by type, some general conclusions can be drawn from information provided by the existing sources. Since the labor shortage seems to mainly be in unskilled and semi-skilled labor (Source), rather than in the design and management fields, companies that lean more heavily on landscape construction are probably impacted more heavily. In addition, companies that rely on seasonal employees (Source) are more likely to be impacted because they cannot afford to provide stable, year-round employment and so cannot have the employees they need on-hand at any given moment. The improving economy (Source) has made attracting seasonal workers even harder. Since these companies also tend to rely on workers from the H2b program (Source), it is most likely going to be increasingly difficult to maintain seasonal workers. Companies have tried a number of solutions to attract and maintain a sufficient labor force. Some have tried advertising or recruiting more heavily (Source) in their local area or raising wages (Source) in an attempt to attract more workers. The vast majority of these attempts have been unsuccessful. While there are no statistical studies indicating why these attempts have failed, news reports provide a few ideas. One is that the work is too physically demanding, and that the wages do not match the physical work, even when pay levels have been increased. Another is that employees don't want to invest in a company that can only offer seasonal employment (Source). Another solution companies have looked to is hiring workers from Puerto Rico (Source) There are several advantages to hiring Puerto Ricans. First, as U.S. citizens they have a right to work in the United States and do not require additional authorization. Second, there are not the same wage restrictions that there are for immigration programs like H2b. And third, with unemployment high and wages low in Puerto Rico, many workers are looking for the opportunity to undertake well-paid work and are willing to travel to do so. Employers still have issues finding quality workers and workers can still have a hard time being away from home, but these problems are not insurmountable (Source). One solution that has had some success at a company in New Jersey, Borst Landscape Design, has been referral incentives. Borst provides a payout to employees who refer someone to the company; one bonus on their referral's first day and another if they stay for three months (Source). Although there is a risk in paying a bonus if the new employee doesn't stay on, the double-bonus system has been fairly successful at getting new employees. It appears that there is no easy solution for the shortage, but a combination of new recruiting avenues through Puerto Rico, and possibly other American territories, and referral incentives for current employees seems likely to promise the most success. Higher wages, even higher than are currently being offered, is another avenue to pursue. Otherwise, unless there is a major shift in U.S. immigration policy or in the labor market, it is unlikely that any policy decisions taken by individual companies will be able to easily alleviate this issue. To wrap it up, the areas of the country hardest hit by the labor shortage are those with the highest number of landscape workers, like California, Florida, Texas, and Colorado, and the areas that rely most heavily on immigrant labor. Companies have had some success attracting workers from Puerto Rico and incentivizing employees to refer friends, but these efforts are not an instant cure.